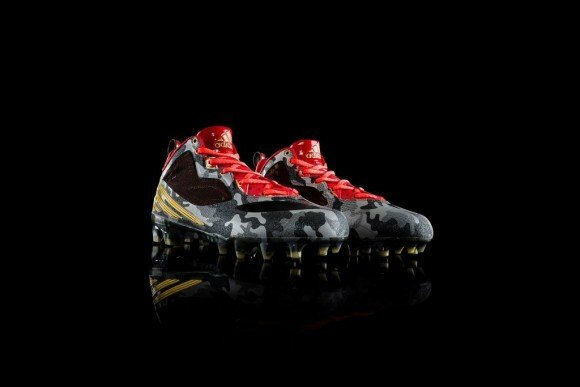 In honor of the upcoming Veteran’s Day Holiday, adidas and RGIII had something special planned for last nights Thursday Night Football game. 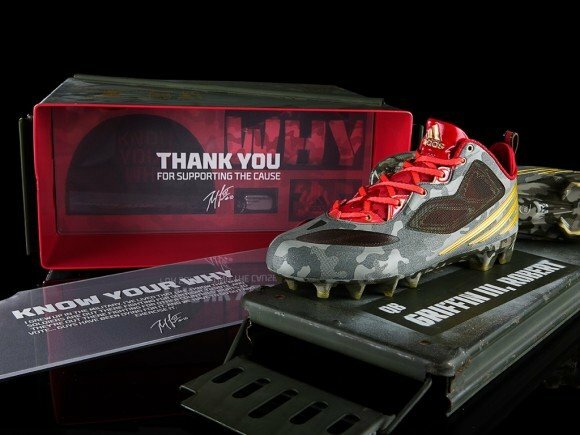 Seeing as how RGIII is the proud son of two Army veterans, this latest unveiling of Griffins first signature cleat most definitely hits close to home. 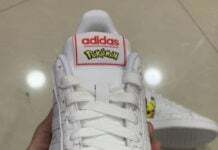 Fully equipped with a green and gold exterior, all of you sneakerheads will definitely notice the vibrant touches of red and gold sprinkled throughout. 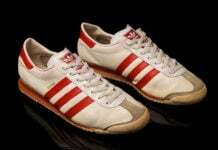 In furthering their tribute to Mondays holiday, adidas will be releasing a limited number of special gift boxes. 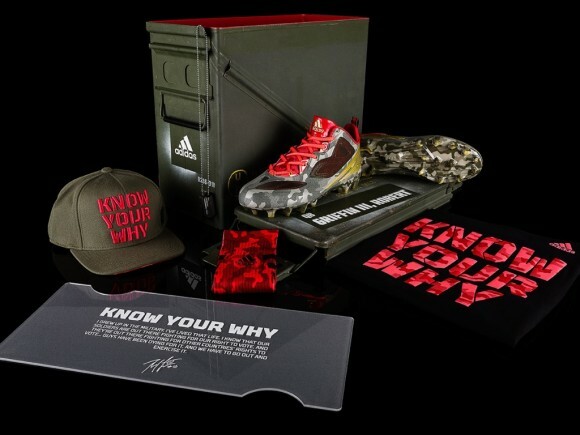 Included in these boxes are a signed pair of RGIII’s signature cleats, a matching hat, t-shirt and socks. Each special gift box is set to be sold for $1,111 with all the proceeds being donated to ORHF. 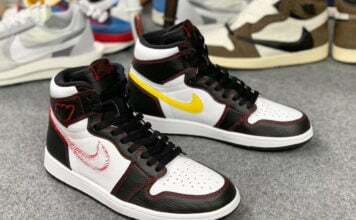 Read on after the jump to check out a few more looks at this rather impressive offering and be sure to drop us a line in the comments section below.